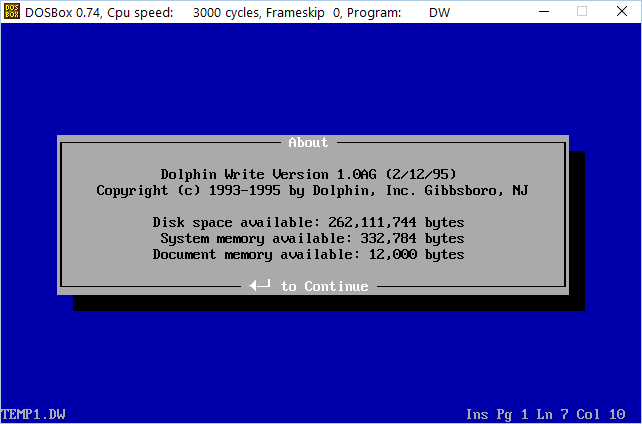 Ah, remembering programming in earlier years... Dolphin Inc. created software for a variety of educational publishers including Glencoe/McGraw-Hill and its Gregg line of keyboarding software products. 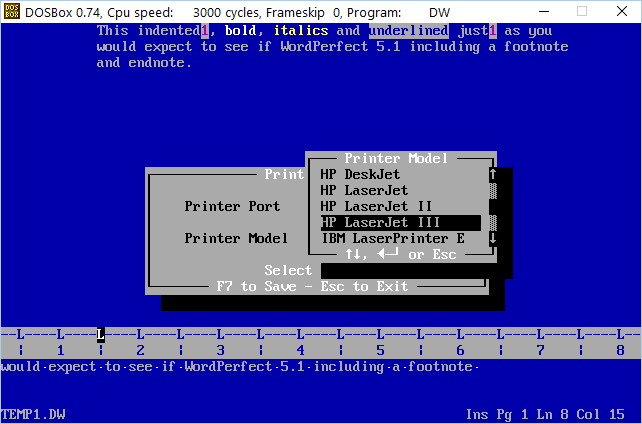 Part of the product included a WordPerfect 5.1 compatible word processor that I created in my basement (of course!) 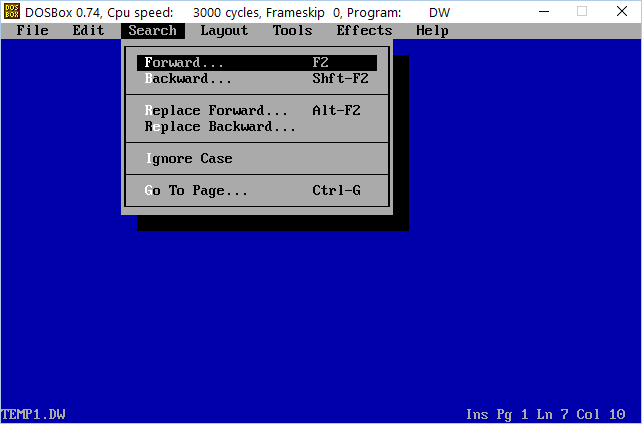 around 1993/1994 shortly after coming to work for Dolphin in Gibbsboro, NJ (near Cherry Hill). 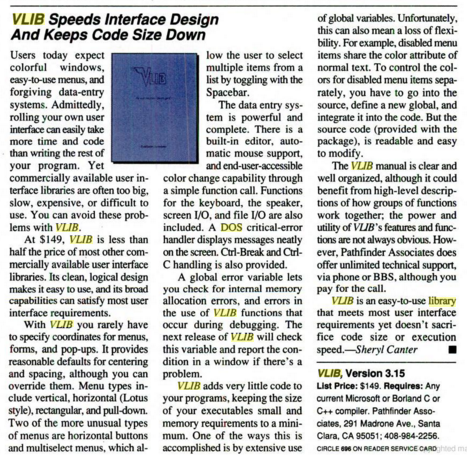 The product was written in C and was an interesting, if intense, project created under a tight deadline and pressure from the client to replace a word processor (NYWord) that we had attempted to adapt unsuccessfully. 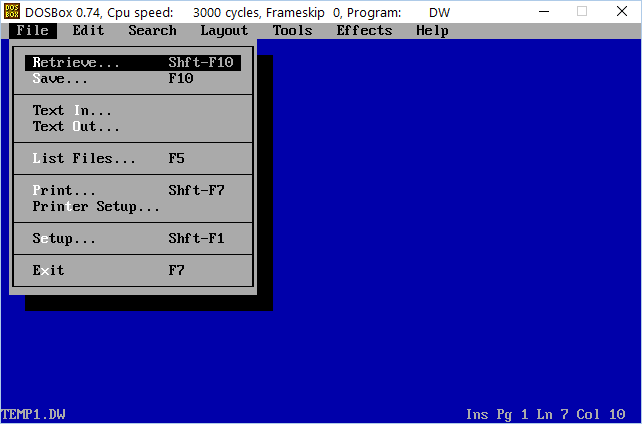 A Gap Buffer approach was used for managing the insertion of text and of course implementing base WordPerfect 5.1 functionality including the Show Codes feature, endnotes/footnotes, and even basic keystroke macros was fun. 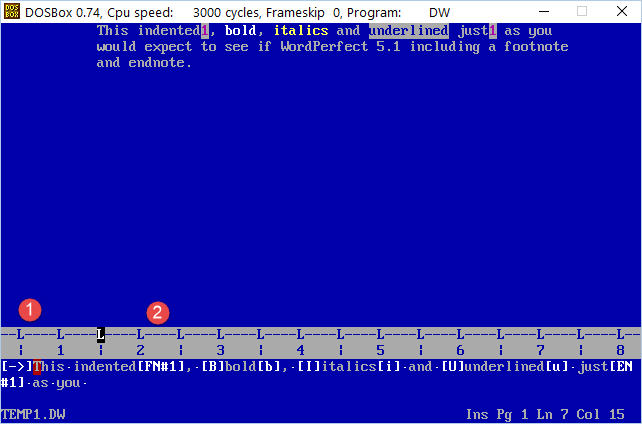 The first screen shot shows some of the features in action including indent, bold, italics, underline, footnotes, and endnotes. 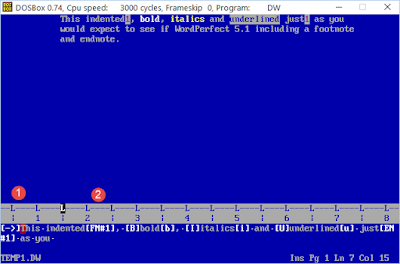 The Show Codes feature is at the bottom of the screen and below the (1) you can see the indent code and below the (2) the footnote (FN) code. 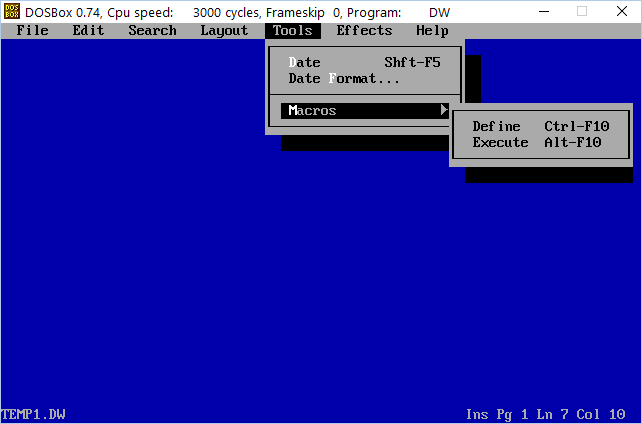 What follows are screen shots of the pulldown menus to give a feel for the features supported. We even had a modest set of print drivers included that covered many of the printers found it schools at the time (LaserJet III, Epson, etc.) 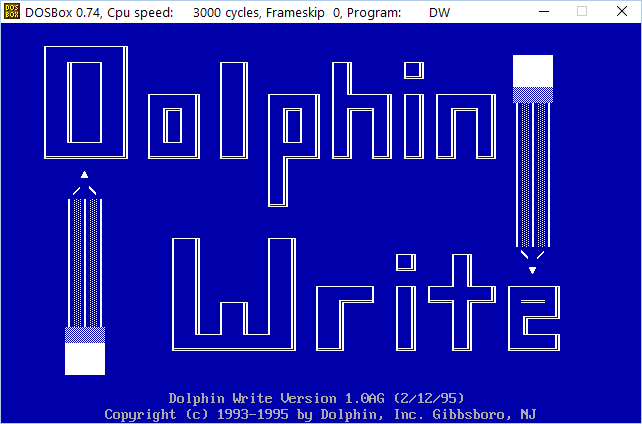 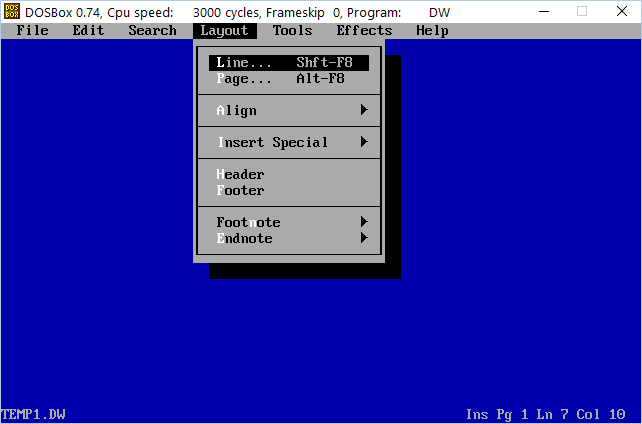 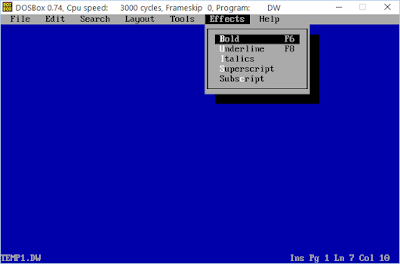 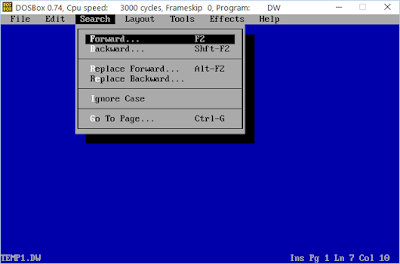 Dolphin Write used the vLib library for the windows-like user interface. 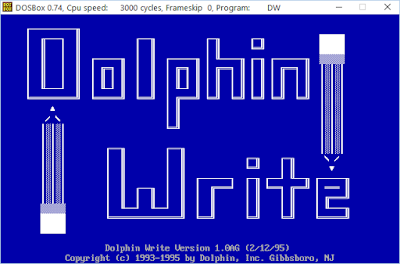 Here's a link to the Dolphin Write folder where you can download the files needed to run Dolphin Write (dw.exe, dw.hlp, dw.lst, dw.pdb, dw.cfg, dw.err). 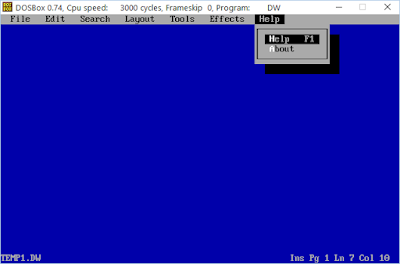 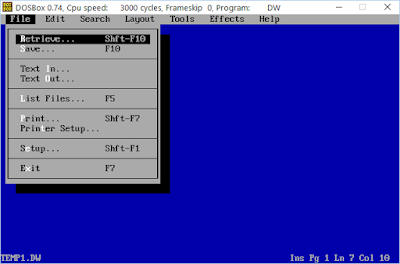 You'll probably need to download DOSBox to run the 16-bit EXE file on any recent Windows (64-bit) system.